Pleasantly plump, if we are being kind, but if we are being honest, it’s not a good kind of plump. It’s not the pretty plumpness-that-is-really-more-like-normal-sized-because-English-people-are-all-tiny-tiny-people-plumpness of Nigella Lawson. And these last two weeks haven’t helped. Oh sure, the holidays. The holidays which, to a majority of people in the U.S. are technically only 48 hours — Thanksgiving and Christmas, maybe 72 if we count New Year’s, but we really only feel the festivities on New Year’s Eve, so we’ll say 60 hours — and yet we have taken that to mean it’s open hunting season on the days that lead up to, trickle after, and flood the interim between said holidays. That is over a month of gluttony, friends. The sugar and carbs have indiscriminately seeped back into my diet. The regular exercise has completely dropped off. The larder of my pantry has been significantly diminished in the name of tartlettes, cookies, and marshmallow-making. Well my answer to you is yes, yes you can. And they are beautiful and taste amazing and are nothing like those artificially, cloyingly sweet cylinders you buy from the grocery store. And they are so easy to make! For the most part, they are very easy to make unless you are me, who is prone to making stupid mistakes, whose math can be a bit dodgy at times, and whose impatience has never once rewarded her. 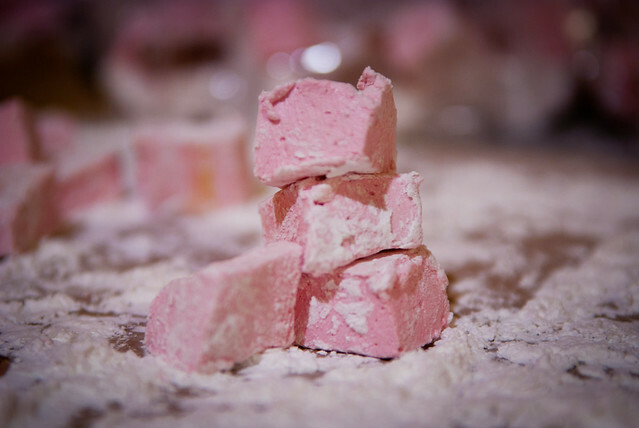 You can read about the victories, trials, and tribulations of my marshmallow-making marathon in my guest post at Food Shenanigans. 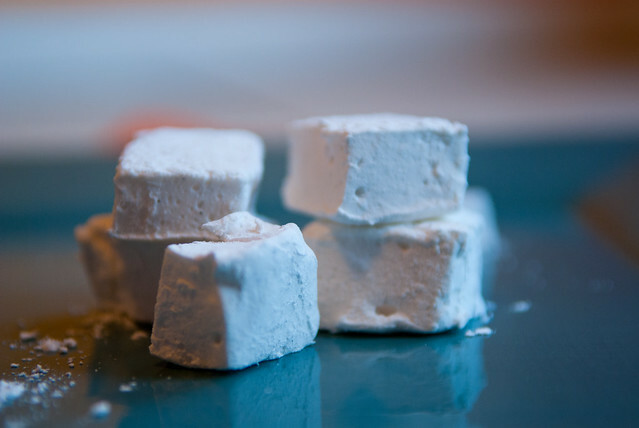 This entry was posted in food and tagged desserts, food, marshmallows. Bookmark the permalink.